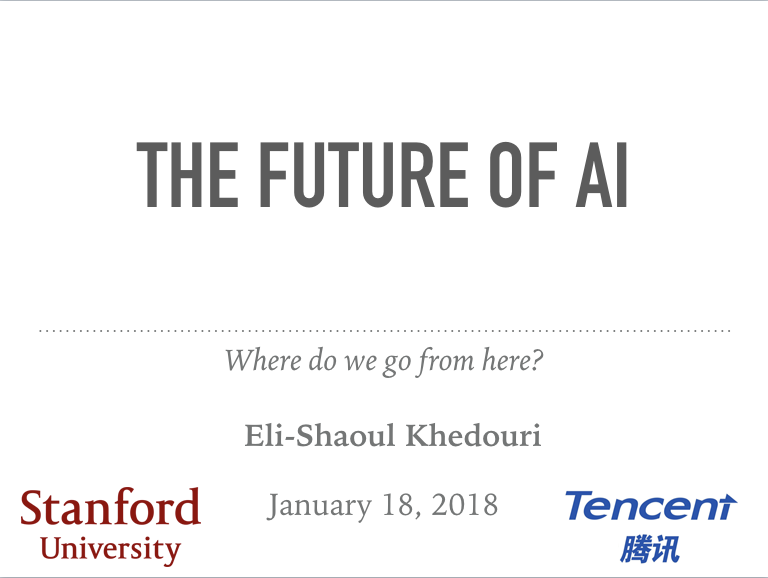 Eli-Shaoul Khedouri, founder and CEO of Intuition Machines, recently presented his thoughts on the future of AI at Stanford. 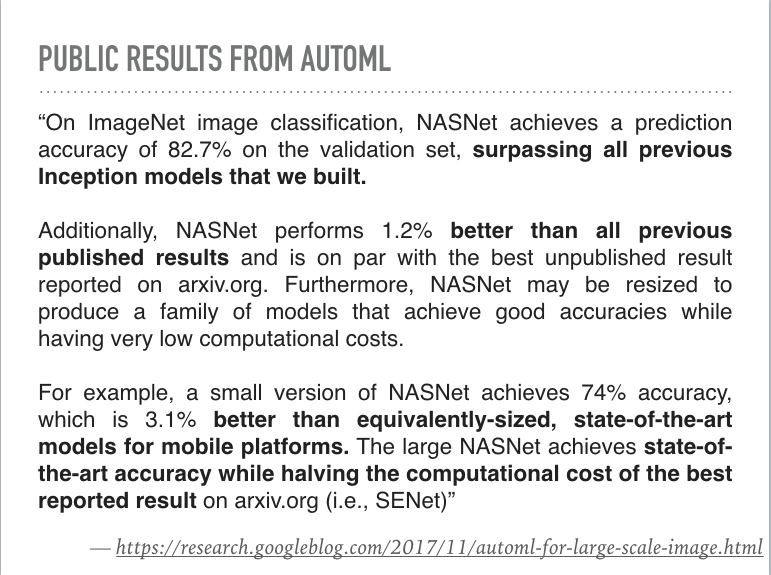 After an overview of meta-learning and the current state of academic research he covered the recent announcement of AutoML by Google and its significance for the industry. 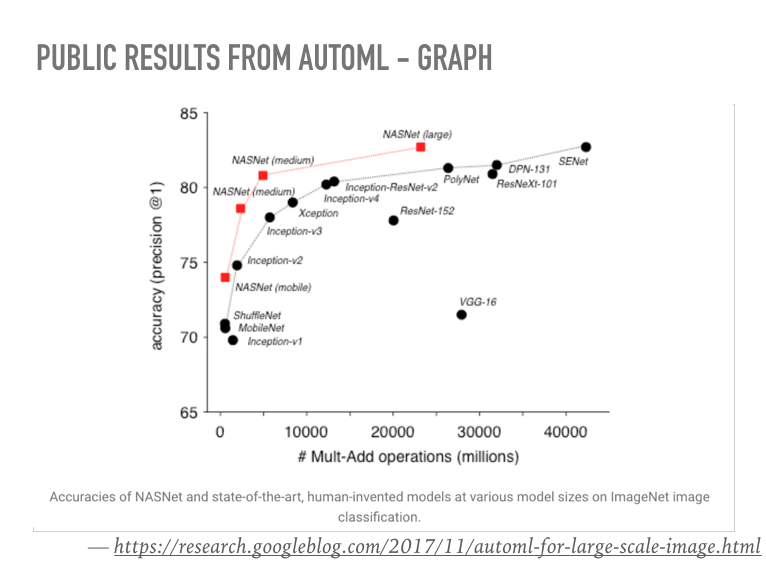 Commercial application is just beginning, but automating transfer learning and architecture search is the first step on the path to more widespread use of machine learning technologies. The cost and expertise required to apply ML techniques remains too high for many business problems. Our job as an industry is to make our innovations available to as many people as possible. Automating model development is the only real answer to this problem, and efficient structure search is the best method available in 2018.